From Jinhua Shu Brocade customer real beat! Jinhua Shu Brocade Clothing Co., Ltd. Jinhua Shu Brocade Clothing Co., Ltd.
1 YRS Yiwu Galsung Import & Export Co., Ltd.
2 YRS Dongguan Jukai Fashion Co., Ltd.
4. If your sweater is wet, and you want to put it to dry immediately, noted can not contact with heat source directly, like in front of the fire roasted, spread out on the electric heater or bask in the big sun. 5. Not recommend wear the same sweater consecutive 2 days, should give the sweater have enough time to restore its natural elasticity. 7. Insect-resistant eat by moth of the sweater is also very important, the commonly used method is the fumigation, it need to be in a sealed container. our high quality products are selling hot on the top shopping malls overseas! delivery terms by express(sample transportation), by shipment(large quantities order). 1 YRS Dongguan Zhuoshang Clothing Co., Ltd.
e. be close to fabric market can send out various swatchbooks for options. we specialize in providing services of design,oem and processing for clothing wholesalers, brandsalers , network big sellers. 1 YRS Zhejiang Asm Anna Import&export Co., Ltd.
9 YRS Hangzhou Best Homey Cashmere Co., Ltd.
2 YRS Guangzhou I-Cube Clothing Co., Ltd.
gold supplier oem knitted hoodie dress women with draw string latest designs for women product details. packaging & shipping pack &shipping . 3 YRS Dongguan Pomelo Fashion Clothing Co., Ltd.
our company believe our professional, struggle and faith can be your strong back up in china. sketches custom made sketches created perfectly by our professional designer team or you. product name new designs ladies casual dress style no. 10 YRS Suzhou Nice Sweater Clothes Co., Ltd.
long sleeve crew neck cashmere wool dress , decorated with long tassel fringe, fashionable and unique. we can produce as your drawing, picture and specification. 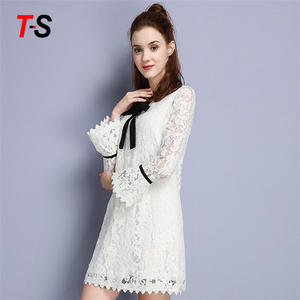 Alibaba.com offers 1,320 design wool dress summer products. About 29% of these are ladies' blouses & tops, 17% are casual dresses, and 15% are plus size dress & skirts. A wide variety of design wool dress summer options are available to you, such as anti-static, breathable, and anti-wrinkle. You can also choose from polyester / cotton, 100% cotton, and 100% polyester. As well as from worsted, satin, and woolen. And whether design wool dress summer is embroidered, plain dyed, or yarn dyed. There are 1,320 design wool dress summer suppliers, mainly located in Asia. The top supplying country is China (Mainland), which supply 100% of design wool dress summer respectively. 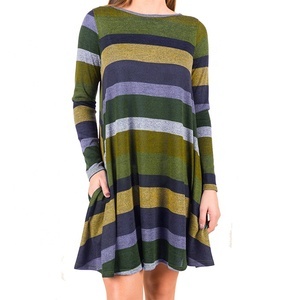 Design wool dress summer products are most popular in North America, South America, and Eastern Europe. You can ensure product safety by selecting from certified suppliers, including 157 with Other, 9 with ISO9001, and 4 with BSCI certification.